The Chicago Humanities Festival (CHF), in partnership with Lyric Opera of Chicago, is pleased to present five-time Grammy Award-winning opera singer Jessye Norman on May 19, 2014 at 6 p.m. at the School of the Art Institute of Chicago (112 S. Michigan Ave.). Legendary soprano Jessye Norman will be in conversation with opera dramaturg Colin Ure to discuss her new memoir titled Stand Up Straight and Sing!, set to release on May 6. Tickets to the program are on sale now for $25–35 and can be purchased online at chicagohumanities.org or at 312-494-9509. Jessye Norman is one of America’s greatest and most accomplished classical singers, with five Grammy Awards, dozens of international prizes, and a Kennedy Center Honor (its youngest-ever recipient) among her countless awards. She pursued music at Howard University and the University of Michigan, and achieved astonishing early success with a contract from the Deutsche Oper Berlin. Her career since then has reached from the stage of the Metropolitan Opera to concerts in honor of the Dalai Lama, the bicentennial of the French republic, and multimedia presentations of American roots music. Stand Up Straight and Sing! details Norman’s journey to opera royalty—from her musical upbringing during Jim Crow racism in Georgia, to her rise at the Deutsche Oper Berlin, and the ultimate recognition of the Grammy Lifetime Achievement Award. Stand Up Straight and Sing! is an inspiring memoir of an astonishing life. Moderator Colin Ure was born in Glasgow, Scotland and studied music at the Royal Scottish Academy of Music and Drama. Following graduation he performed as a professional classical singer throughout the UK, and in 1992 became an artists’ manager, where he advised, developed, and structured the careers of young singers worldwide. In 2005 he was appointed dramaturg for the Houston Grand Opera. 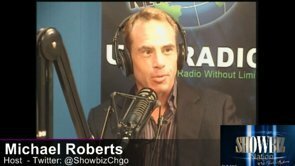 Currently based in Chicago, he works as a freelance dramaturg and writer/presenter for the WFMT radio series Ryan Center Recital Series. 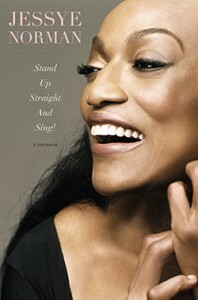 Jessye Norman: Stand Up Straight and Sing! | Monday, May 19, 2014 | 6 p.m. This program is presented in partnership with Lyric Opera of Chicago and the School of the Art Institute. Opera legend Jessye Norman comes to Chicago to share her extraordinary journey from a childhood in segregated Augusta, Georgia, to star of the world’s grandest stages. Her memoir Stand Up Straight and Sing! deepens our appreciation for her stunning musical gifts. Get up close and personal with one of history’s greatest singers. Following the conversation, Norman will sign copies of Stand Up Straight and Sing! CHF is proud to partner with Unabridged Bookstore to offer hardcover copies of Stand Up Straight and Sing! for pre-order. Tickets for Jessye Norman: Stand Up Straight and Sing! are on sale now at chicagohumanities.org or through the CHF Box Office at 312-494-9509, Monday–Friday, 10 a.m.–5 p.m. Tickets range from $25–35, with a limited number of reduced-price tickets available for students (with valid ID). A $6 per order processing fee is applied to all pre-event sales. All tickets are $5 more at the door. For 25 years, the Chicago Humanities Festival has celebrated the questions that shape and define us as individuals, communities, and cultures. For the intellectually curious, CHF’s vibrant year-round programming and robust Fall Festival offer the opportunity to engage with some of the world’s most brilliant minds. Collaborating with leading arts, cultural, and educational organizations, it presents scholars, artists and architects, thinkers, theologians, and policy makers that change how we see the world, where we’re from, and where we’re going. CHF also presents the spring Stages, Sights & Sounds international children’s theater festival. Under the leadership of Executive Director Phillip Bahar and Artistic Director Matti Bunzl, CHF has become an institution central to the fabric of the city. Visit chicagohumanities.org for more information.